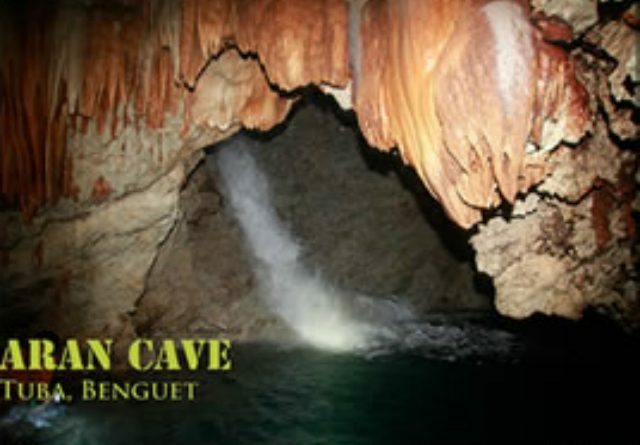 TUBA, Benguet– Spelunking enthusiasts wanting to explore new destinations can now try a newly opened caving area following the formal opening of the Tukang cave now known as the Aran cave located in the border of barangays Camp 3 and Twin Peaks here recently. Mayor Ignacio Rivera said the opening of the Aran cave to visitors will be an added boost to the growth of the local tourism industry considering that the cave is suitable for spelunkers and cave explorers. Aran is an Ibaloi term for giant and it was used to name the cave because according to Councilor Niño Milo, chairman of the municipal council committee on tourism, there once lived a giant in the place and thousands of workers who were working in the area for the opening of the Benguet Road now known as Kennon road have been allegedly disappearing. For quite some time, the workers were not able to determine the reason why their fellow workers had been disappearing and can never be located. Councilor Milo narrated that it came to the knowledge of the workers that their fellow laborers had been allegedly eaten by the giant who lived in the cave between barangays Twin Peaks and Camp 3 which caused concern among other. The entrance of the cave is just 10 minutes away by foot through the scenic and historic Kennon road which was built by thousands of workers from all over the world in 1905 and completed in 1907. Interested individuals and groups wanting to visit the Aran cave shall be required to pay P200 per person, that will include tourist guide, environmental fee and other charges collected by the barangays concerned. Considering that the entrance of the cave is within the jurisdiction of Camp 3 while the cave proper is situated in Twin Peaks, Mayor Rivera explained both barangay councils agreed to divide the income to be derived from the payment of the visitors wherein 60 percent will go to Camp 3 and 40 percent will be given to Twin Peaks. Among the available options to be taken by individuals interested to visit the cave is to take the Camp 3-bound jeepney in front of Shoppers Lane or take a van in front of the gasoline station near the Social Security system (SSS) or take a bus that passes through Kennon Road while remaining the driver or conductor that they will be alighting in the Camp 3-Twin Peaks boundary near the entrance of the cave. The cave is approximately 1 kilometer from its entrance with 3 waterfalls inside. It will take an individual around 3 hours to tour around the cave with a guide, thus, individuals wanting to visit the cave must go to the place early so that they will have a chance to enjoy their caving activities. Mayor Rivera said barangay officials in coordination with the municipal tourism officer are the actual overseer of the activities inside and outside the cave to guarantee the safety of visitors who want to spend a break and enjoy the rock formations inside it. He extended that visitors of the Aran cave will be treated on a first come, first cave basis considering the sustained increase in tourist arrivals in the said area.